Once you get into cycling, there is no stopping to the number of cycle accessories you would want to buy. Whether cycling apparel, tyres, lights or tubes, the list never seems to end. It reaches such a point that your wife or parents start yelling at you because you won’t stop buying those expensive cycle accessories. It doesn’t matter even if you don’t have storage space as well. However, there are a few cycle accessories that every cyclist must have. These cycle accessories not only help him protect you from harsh weather but make riding worthwhile. Here’s our cycle accessories list that every cyclist should consider paying attention too. They will not only keep you safe but also ensure you are comfortable and help you in times of difficulty. 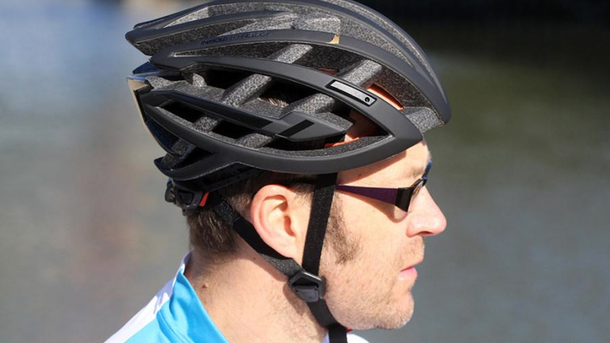 The most important cycle accessory that tops our list is the bicycle helmet. A good bicycle helmet is a must-have accessory for every cyclist. It offers protection and safety in times of a crash or fall and ensures to keep head injuries away. Make sure to get the right bicycle helmet that suits your requirements. There are many special types of bicycle helmets that are available in the market. You can also buy cycle accessories from Decathlon, Amazon and Flipkart. 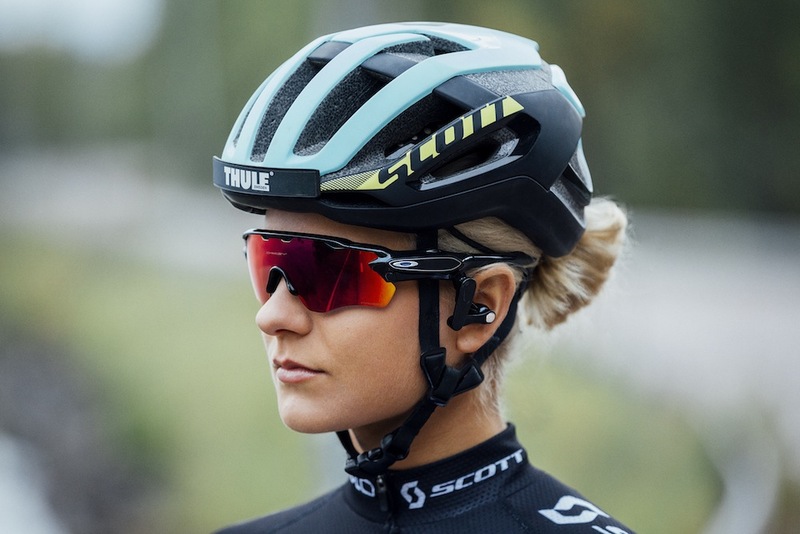 A good pair of cycling glasses will not only make you look good but also protect your eyes from dirt, dust and any projectiles. Moreover, cycle glasses will also help you protect your eyes from UV radiation. When you go out to buy a pair of glasses, go for those that are one piece lighter and do not fog. There are also a variety of lens covers available that are suitable for the different time of the day. 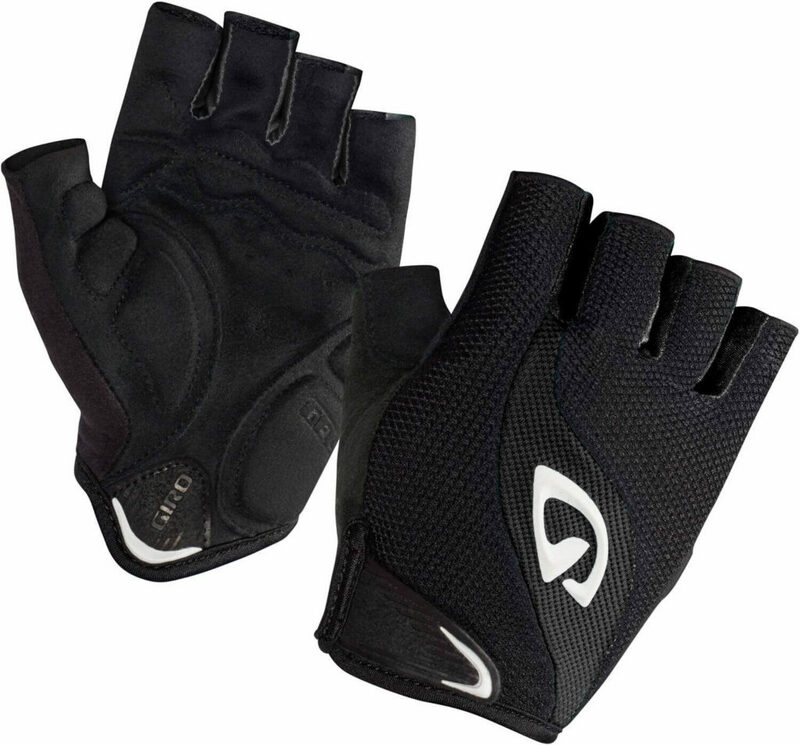 Wearing high- quality cycling gloves prevent blisters, chafing and other discomfort caused due to friction from road vibration. In times of a fall, cycling gloves will prevent the entry of gravel in your hands. A water bottle is another must-have accessory that you need to have with you. High-quality water bottles help you keep your water cool in summer and warm in winter. 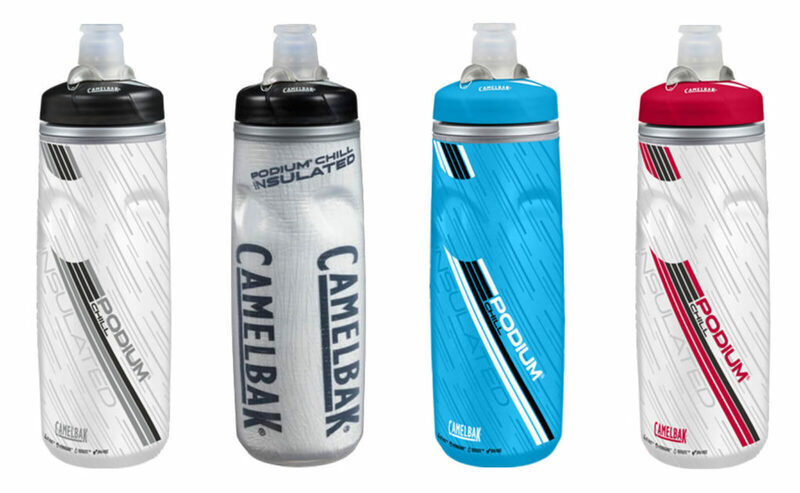 Water bottles or sippers like the Camelbak are one of the best bottles for cyclists. 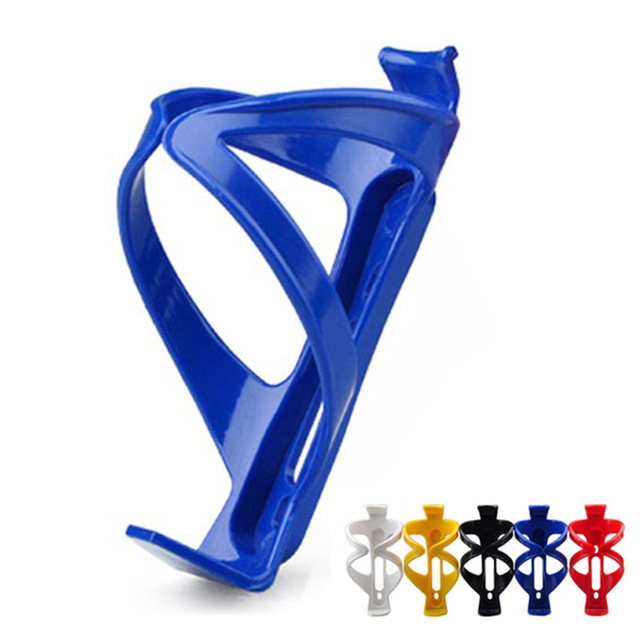 You might have noticed that bicycle manufacturers do not offer bottle stand, kickstand and even pedals for that matter. Hence, these cycle accessories are compulsory for you to buy. There will be times when you will be tempted to go for a midnight ride. The experience is completely different, trust us! In such cases, a good cycling light in the front and back will be of great help. If you’re going to be cycling in the night, ensure to invest in a good cycling light as they help you see and be seen by others. Don’t forget to consider looking at bicycle taillights or backlights as well. We often see newbie cyclists wearing a normal jersey or a tee shirt and ride around the city. Investing in cycle accessories like cycling jersey can make all the difference. They make riding more comfortable by wicking moisture towards the outside. Cycling jerseys have pockets at the back that permit you to carry their phone, spare puncture kit, money, food, tools and more. While sitting for prolonged hours on the saddle will make your rear hurt, bib shorts certainly come to your rescue. Bib shorts help keep the padding in place and reduce the spanking from the seat. Read all the benefits of wearing cycling shorts or bib shorts by clicking here. You might have a floor pump but not a hand pump and buying one is completely fine for emergency situations. So go ahead and get yourself a Road Morph G, it’s a good investment and you won’t regret it ever. This pump is small, lightweight and provides a quick, easy solution to flats on the road or trail. Sometimes, night riding might require more protection. In such cases, a reflective vest is a brilliant idea. Consider buying one in fluorescent colour, they ensure you are seen in any kind of weather. We are sure your family will be less relieved after you buy a reflective vest. You might have a good hand pump but don’t you think a puncture kit is equally important? Well, having one is half the job done. Do learn how to fix a puncture too! This link should help you out. At times fixing a flat can be a daunting task, especially during monsoon. Consider carrying a spare tube along. It will easily fit in your saddle bag. If you’re looking for monsoon cycling tips, read this. You can’t ride with all these things stuffed in your jersey back pocket. 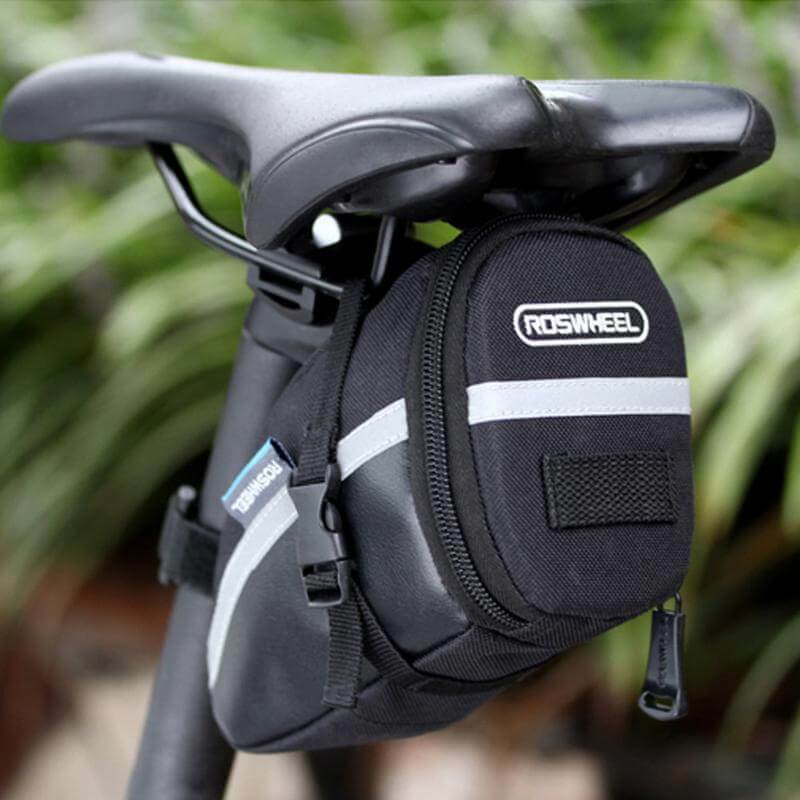 Consider buying a good saddle bag that fits right under your bicycle seat. 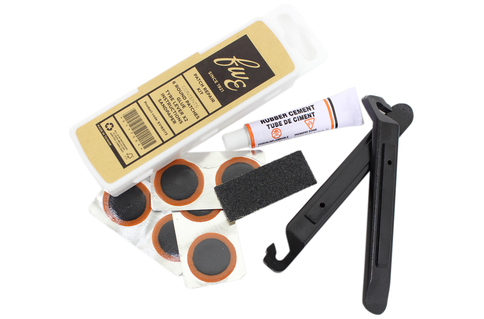 You can store your spare tube, puncture kit, Allen key set and more. 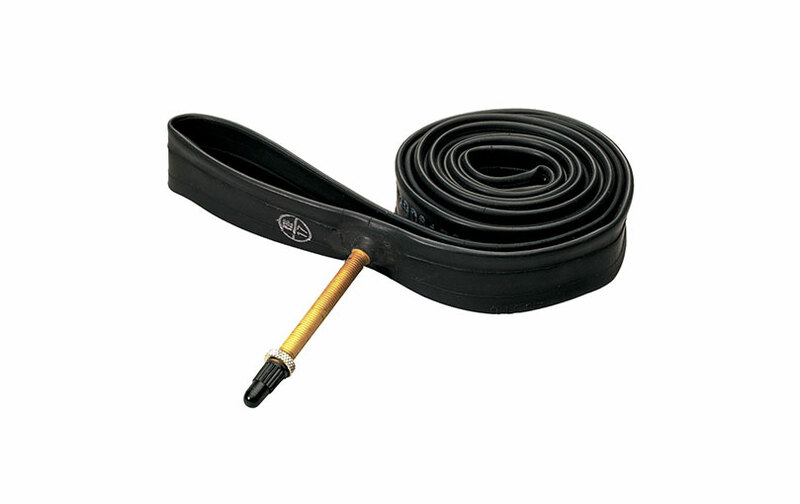 No list of cycle accessories is complete without a reliable bicycle lock. Wrap it and lock it around your bike and ride around town whenever, wherever. We all love measuring our distance, time and speed. Heck, after a point of time, you even love going after those segments on Strava. 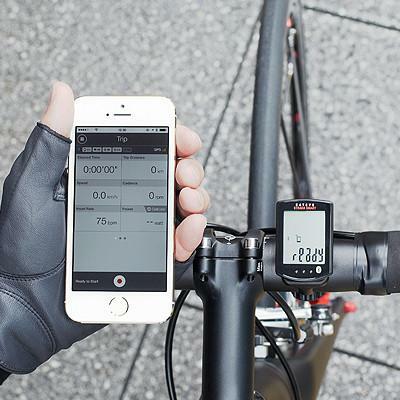 While looking into the phone and riding might not be such a great idea, a cyclocomputer can be the ideal choice. Mount it on your bike and off you go! Those of you looking to buy cycle accessories, consider looking at Amazon, Flipkart or Decathlon. There are also other portals like Choose my bicycle, wizbiker and BOTS that are good places to buy cycle accessories. If you think we missed any cycle accessories, do comment and let us know.